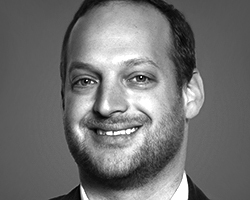 Matan is a Vice President at Agriculture Capital, focused on the firm’s sustainable food and agriculture strategies. Matan believes that meaningful impact investing can best be achieved through actionable and scalable strategies backed by solid economic rationales. Matan brings to Agriculture Capital a decade of finance and investment experience covering middle market operating companies, commercial real estate, and permanent crop farmland. Matan began his career with Wells Fargo’s Capital Markets Group, where he evaluated middle market leveraged buyout financing opportunities for the bank’s financial sponsor clients. Matan then joined the Shorenstein Company, one of the nation’s oldest commercial real estate owner-operators, where he evaluated and executed over $2 billion of property, debt, and joint venture interest transactions. During and following completing his MBA, Matan worked in various capacities evaluating, structuring, and promoting several permanent crop farmland investment strategies located in the Western U.S. and Latin America. Through these experiences, Matan has learned the critical roles that diversity, shared values, and trust play in the successful execution of ambitious and formidable organizational goals. Matan lives in San Francisco and spends his spare time skiing and playing competitive table tennis. Matan graduated from the University of California at Berkeley with a BA in Economics, and from the UCLA Anderson Graduate School of Management with an MBA.